If you have tooth pain, you may be ready to just give up, especially if you have been dealing with it for a while. Toothaches can cause you to miss out on your social life and the days you planned with your family and friends become a distant memory. If you do not handle the pain you feel, you will be left in pain and on the couch to try and deal with it on your own. If you forgo the care you need, the condition may become worse and the pain intensify. Don’t just let the pain take over your life and take a moment to browse through the list of emergency dentists in Little Rock now. These dentists work around the clock to ensure you get the care you need. As you browse the list, you will be able to identify any 24-hour emergency dental offices in Little Rock and after hours’ facilities. Finding an emergency dentist in Little Rock does not have to be difficult. If you have been trying to get through your dental pain all day, you may be out of luck if you cannot get to a dental office before 5:00 pm. Yes, that is right. Most dental offices close their doors quickly at 5:00 pm and this means that if you work a standard 9:00 to 5:00 pm, you are just out of luck. If you cannot receive the dental care you need, you will find yourself stuck inside of your home taking Tylenol, laying with a cold compress, and crying out in pain because your toothache is unbearable. Fortunately, it does not have to be like that and there are after hour dental clinics in Little Rock that are available to provide you with the care you need. After hour dental offices in Little Rock are open until 6:00 pm, which will give you some extra time to get into the office. You can receive the care you need and then head home for the rest of the night. Many dental clinics that offer extended night hours will also offer weekend hours for your convenience. These after hour facilities are ideal for patients who have a mild to moderate dental problem. If you are experiencing any type of tooth or jaw pain, the very last thing you want to do is sit down and start the search for an emergency dentist in Little Rock. In addition, making multiple calls is out of the question because your mouth hurts just too bad. At Emergency Dentists USA, we understand this and that is why we have created a list of emergency dentists in Little Rock. All you must do is look at the list of emergency dentists in Little Rock below and identify one that meets your needs. Give them a call and schedule your appointment now. Directions Our service of referrals to North Little Rock dental care clinics. Services Call now, 24 hours a day and 7 nights every week to speak with our own emergency dentist North Little Rock AR phone services. Whenever you have got a dental crisis our own specialists are right here to help you to locate the best urgent care dental professionals where you live. Whether it’s a night time dental practice, a weekend dentist, or a dentist whenever, we are the North Little Rock crisis dental center referrer you should work together with! The partners we have designed permit us to become linked to a huge selection of urgent care dental offices in america. Description Janis Williams, RDH wants to assist you as well as take care of the dentistry emergency that you’re having, benefit from their particular technically superior and comfy work place! Summary Ryan C. Shearer, DDS looks forward to your trip to their particular dentist office and has night dental hrs, and will agree to new clients simply call in advance. The technically educated dental practitioners here provide solutions including general checkups, fillings, root canals and dental implants. Services Dr. Jason Havard is seeking new clients and it is willing to serve anyone, also they offer several weekend as well as night hours. Visiting a Little Rock emergency dentist is just like visiting your primary care dentist in his or her office. You will need to make sure you arrive about 15 minutes early to fill out some new patient paperwork. The paperwork will ask you basic information about your health and dental history. You should fill this out to the best of your ability to ensure that your record is complete. You can turn in your additional paperwork, insurance information, and health records when you turn in your application. You should make sure that the dentist provider you chose is able to accept the form of payment you want to give them. Some offices do not accept certain brands of cards or checks, so it helps to inquire. In addition, you should verify that the office does take your dental insurance and can bill them accordingly. If you have any allergies, you should alert the staff on site and doctor before the procedure begins, as this will allow them to properly prepare for your procedure. If you have dental anxiety, it is also a good idea to let the dentist know, as there may be sedation options available to you. 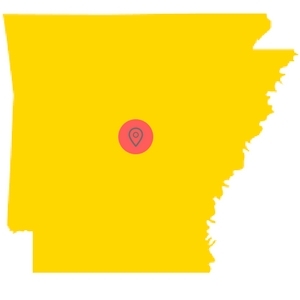 Little Rock is the capital of Arkansas and it is the most populated city in the state with a total resident count of approximately 193,500. The city was first incorporated in 1831 and received its name from the rock formation that appears on the Arkansas River. Little Rock is part of the Little Rock-North Little Rock-Conway, AR Metropolitan Statistical Area, which has a population of about 724,000 residents. This city is known to be one of the hottest cultural spots and has a very strong economy. Many tourists flock to the area because it is full of hiking and rock climbing adventures that are waiting to be had. Artifacts that have been discovered show that the area was first inhabited by Native Americans many years before the Europeans arrived. The city is large and diverse. If you are unfamiliar with the area, you may become quickly confused as the city is filled with different neighborhoods and small sectors that go by different names. As mentioned briefly above, the economy is strong and the top employer is the University of Arkansas for Medical Services. This public employer employs more than 10,500 residents alone. The city is home to both the Arkansas School for the Deaf and the Arkansas School for the Blind. CHI St. Vincent Infirmary is also located in Little Rock and has 447 beds on site, making it a medium hospital. There are 1,200 nurses and doctors combined and a trauma center is readily available here. This facility sees more than 35,000 patients in the ER and receives over 20,000 admissions annually. This facility is regionally ranked number one in Arkansas and is rated high performing in heart failure, knee replacement, hip replacement, heart bypass surgery, COPD care, colon cancer surgery, and abdominal aortic aneurysm repair. 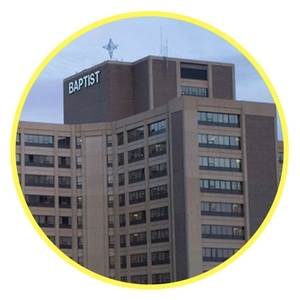 Baptist Health Medical Center is in Little Rock and has 694 beds on site with a trauma center. The ER sees more than 52,000 patients per year and receives over 28,500 admissions in the same time. There are a total of 900 nurses and doctors on staff and the physicians on site perform more than 20,000 inpatient and outpatient surgeries yearly. This facility is regionally ranked number two in Arkansas and is rated high performing in heart failure, COPD care, knee replacement, and ho replacement. If you are experiencing a dental emergency and you cannot get in touch with a Little Rock emergency dentist, call 911 to receive immediate care or head to your local ER. Dental pain is one of those things that no matter how hard you try, it just will not go away until you have the procedure you need performed on it. Yes, you can mask the pain for a while, but it will continue to come back again and again until it is properly handled. There are some dental emergencies that happen overnight and others that take time to form. No matter what type of emergency it is, you need to receive care from a Little Rock emergency dentist. All dental problems should be looked at by a trained individual and then evaluated to see what needs to be done. Emergency dentists in Little Rock can perform the procedures you need done. If you know you have a dental emergency, but you refuse to seek out care, you may find yourself with some serious complications later down the road. Emergency dentists in Little Rock, AR can help you and alleviate the pain you feel. Reading any of the information or advice provided to you on emergencydentistsusa.com should be used for informational purposes only and should not be a substitute for professional dental advice. If you have a dental abscess, you may notice a pimple-like bump on your gums. 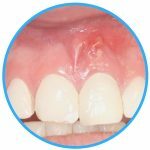 While an abscess can appear on the gums, it usually appears between two teeth or near the root of the tooth. 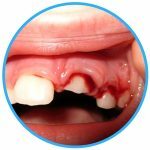 It is important to know that an abscess is a serious dental emergency and you should never drain the abscess on your own. If you have one, you should rinse your mouth out with warm saltwater and then use a cold compress on the exterior of your cheek to limit swelling. It is vital that you call a Little Rock emergency dentist right away. Teeth can be knocked out for several reasons with the most common being sports-related accidents. If your tooth has been knocked out, recover it as quickly as possible and hold it by the crown. You do not want to touch the roots, as this can damage the tooth. You should place the tooth back into the socket, but do not force it. Should it not go into the socket, place it into a cup of milk. You should call your local Little Rock emergency dentist immediately. Re-implantation has the best success when it is done within just an hour or two of the tooth being knocked out. Objects can become caught in your teeth at any point in time and they will cause you some pain, especially if they are large. If you have an object stuck in your teeth, try to floss the teeth to remove the item. If this does not work, you can try to brush your teeth as well. You should never use a sharp instrument to try to remove the object, as this can cause further damage to your teeth and gums. If you cannot get the object out from between your teeth, you should call a Little Rock emergency dentist right away. Tooth trauma can be caused from any type of accident that occurs and involves your mouth. When you suffer from tooth trauma, you should rinse your mouth out with warm water, and then work to stop the bleeding, should any be present. To do this, bite down on a moist piece of gauze to control the bleeding. If you are in a lot of pain, you can take an over-the-counter medication such as Tylenol to reduce the discomfort you feel. If you have suffered any tooth trauma, accident or not, call an emergency dentist in Little Rock immediately to receive care. If you need to have an extraction, it is a good idea to have it done quickly. You do not want to wait, as delayed care can cause some complications to arise. Most patients who have an extraction only need about a day, sometimes two, to recover from it. Other patients can head right back to work, as if nothing happened. Below, you will find some tips to help you have a speedy recovery. Do remember to follow all your dentist’s instructions and always take your prescribed medications to prevent infection. Dental emergencies can be quite tricky and you may think that you need to go to the emergency room. The only time you should go to the ER is when there is not an emergency dentist in Little Rock near you or when you break your jaw, suffer a head injury, or are involved in an accident. Otherwise, the ER will not be able to help you with your dental emergency. The most the physicians on staff would be able to do is look over the problem tooth and provide you with some medication to hold you over until you can see the dentist. You should head to a local Little Rock emergency dentist to receive the care you need. 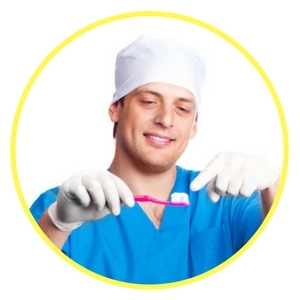 These dentists typically work around the clock to ensure you can get the care you need. They can perform all procedures and have the tools needed to do so as well. My child’s baby teeth have cavities. Why should they be filled if they’re just going to fall out in a few years? Your child’s baby teeth should be filled if they have cavities to prevent pain and further growth of the cavity. A cavity that is uncontrolled and not handled can lead to a root canal needing to be performed. Yes, your child’s teeth will fall out, but it cannot be predicted as to when. Sealants are a thin coating that is applied to a tooth’s chewing surface. Sealants are applied to the tooth to protect it from dental decay. In the earliest stages of tooth decay, a cavity will not cause you any type of pain, so you may never even know it is there until your dentist finds it at your checkup. Cavities that cause pain have eaten down into the deep layers of the tooth and may even expose the pulp. A root canal is a dental procedure that is performed to remove an infected pulp from the center of your tooth. Once removed, the tooth is cleaned and then sealed. Amalgam fillings are made up from a combination of silver, mercury, copper, and tin. These fillings are safe, as no evidence has suggested otherwise. The office of Kool Smiles is prepared to provide you with the dental emergency services you need. The office is committed to providing you with the best care in a state-of-the-art facility that provides quick and painless services. From tooth decay to an abscess, there is no dental emergency that is too difficult for them to handle. The office is open Monday through Friday until 6:00 pm and on Saturdays until 2:00 pm, for your convenience. If you think that you may be experiencing a dental emergency, but you are unable to reach a Little Rock emergency dentist, you should call 911 or head to your local emergency room immediately. While the ER will not be able to perform any dental procedures on you, they can give you the peace of mind you need to know that the issue is not serious or life-threatening. In addition, the physicians on staff may prescribe you medication or a pain reliever to help you until you can see your Little Rock dentist. Tooth pain is not something that you want to ignore because it will continue to gradually get worse until you can no longer handle it. In fact, delayed care can mean serious complications for you in the future. Your oral health is important and you should receive the dental care you need at the first sign of pain. Emergency Dentists USA is a website designed to provide you with information about dental health and emergencies. You should never use this information to supplement that of a medical professional. Should you be experiencing a dental emergency and you cannot get ahold of a Little Rock emergency dentist, call 911. We do recommend that you take some time to verify the credentials, certifications, and licenses of all new dentists that you plan to visit. You can start with the Little Rock dental society and check the Arkansas State Board of Dental Examiners. If you have a dental emergency and you cannot find or get into contact with a Little Rock emergency dentist, call 911 or head to your local emergency room for care. Emergency Dentists USA is a site designed to provide you with information only and should not be used to replace the advice of a medical professional.